The blue dashed line indicates the Bellwood Borough limits. The surrounding area is a small portion of Antis Township. 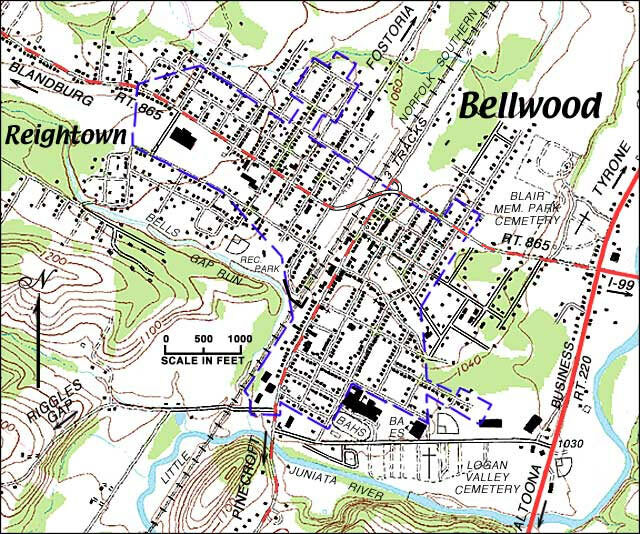 For a Bellwood Borough map with available photos indicated on it, click here.